We have just completed a significant upgrade to one of our favourite websites. If you are looking for a fun day out in Sussex, look no further than Black Cat Treasure Hunts. The website offers lots of fun question/ location based treasure hunts across Sussex. Complete the hunts using your smartphone, keep your scores and maybe show up on the leaderboard. 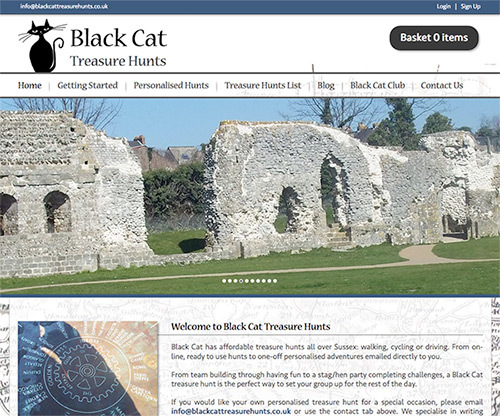 Get adventurous and go to www.blackcattreasurehunts.co.uk.